Sat in the northern reaches of Scotland, Inverness may look like it’s a long way from anywhere but it’s actually the gateway to some of the most scenic spots Scotland has to offer. The Cairngorm National Park, Aviemore and Loch Ness roll into one on this great drive, and with so much to offer you’ll want to take more than a weekend to explore the natural world on your doorstep. At its most beautiful in the autumn, when the landscape takes on a honey-brown tint as the trees and moss-covered hills fade for winter, an ideal place to base yourself is the Boat Hotel, nestled in the heart of the Cairngorm National Park. 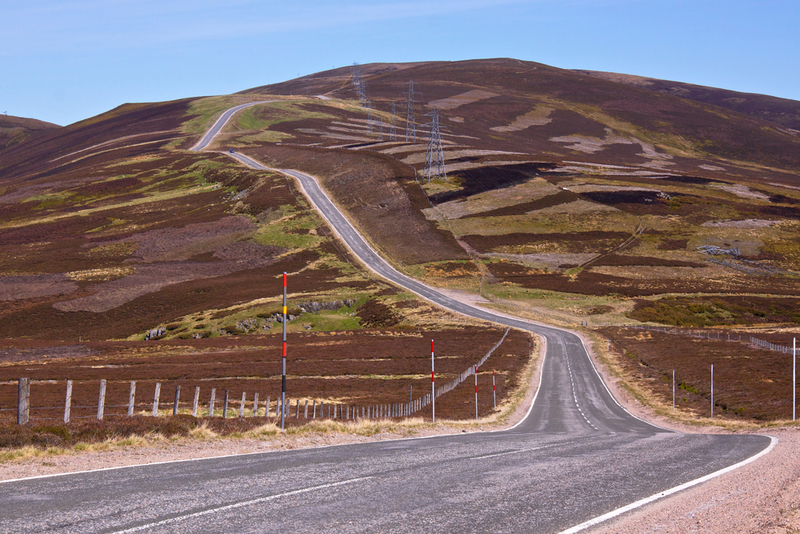 However, winding your way south along the A9 is an experience in itself. The scenery that unfolds through the windows is quite majestic, and when the route turns south west on the A86 it tracks the northern shore of Loch Laggan, part of which is a nature reserve. Keep an eye out for signs to Ardverikie House, one of Scotland’s best-known baronial style homes, rebuilt in 1870 using the typical grey granite rubble. It was the star of the BBC’s television series, Monarch of the Glen, and has even hosted Queen Victoria and Prince Albert, in the month before buying Balmoral Castle in 1852. As the A86 meets the A82, it turns north at the village of Spean Bridge. A mile north, on a prominent hillside adjacent to the A82, is the famous Commando Monument. It commemorates the service and sacrifice of the men and women who served their countries during the second world war, and isn’t here by chance; Allied Commando Training was based nearby at Achnacarry Castle, and would train thousands of troops in the surrounding mountain ranges and lochs. As the road heads north, the scenery is a marked contrast to the Cairngorms. 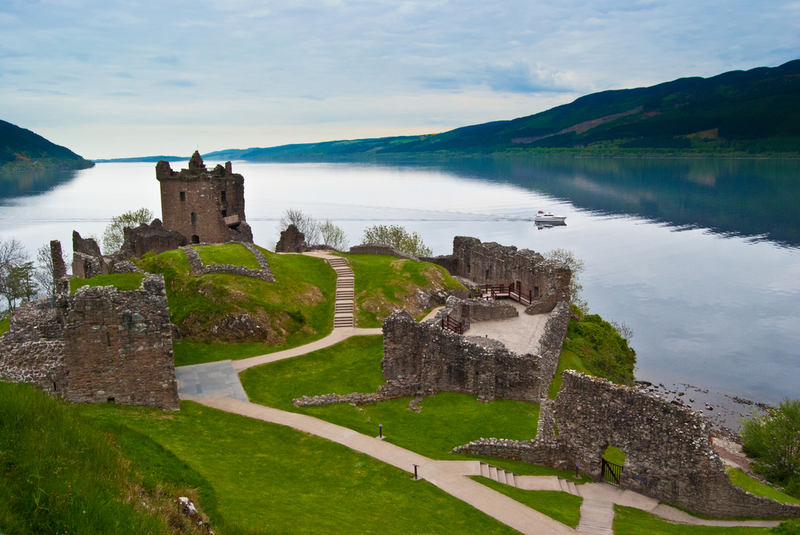 Flatter and with far-reaching views, it’s not long before you’re running parallel to Scotland’s best known loch of all, Loch Ness, where – the saying goes – there’s magic in the water. Stretching for more than 20 miles, and reaching as far as 230metres down, this freshwater loch is claimed to hold more water than all the lakes in England and Wales combined. As the waters recede, the road runs toward Inverness, considered the capital of the Highlands. Initially, it tracks the Caledonian Canal, the impressive 62 mile waterway engineered by Thomas Telford to link Inverness to Fort William, and the locks and aquaducts are always a sight to behold when in use. Culture vultures should plan ahead and check the listings for Eden Court Theatre, Scotland’s largest arts venue. From Inverness, the road trip turns south and rejoins the A9, toward Aviemore. Like the rest of the route, it’s a laid back drive that’s never particularly taxing or challenging, but with such an abundance of natural scenery, you’ll find that there is no shortage of inspiration on this Highlands circuit.